"He's a card player, gambler, scoundrel. You'd like him." The fastest piece of junk in the galaxy is back again. New Star Wars miniture figures coming from Medicom in October. 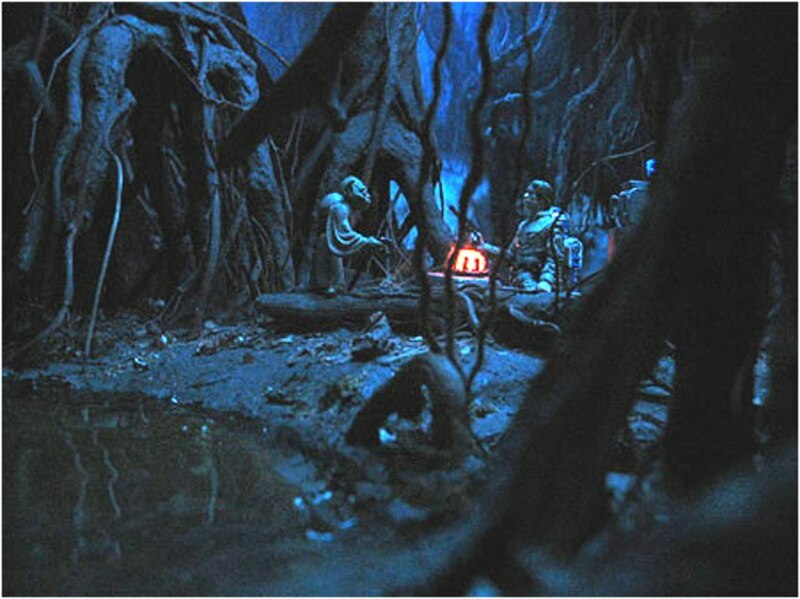 This week's Cool Custom is of a 3 3/4" diorama of the planet Dagobah from Star Wars: Empire Strikes Back. Limited edition Pepsi bottle caps coming your way straight from Japan. Dr. Evazan, Wuher, and Kitik Keed'kak. Han Solo, Rebel Trooper, Wicket, Logray, Biker Scout and Speederbike. "Jedi master? Yoda. You seek Yoda!" Get a look at the Jedi Council Scene 2 in the packaging. Get a look at the collectible Star Wars Battlefront pre-sale action figure available soon! Vintage style 12" Boba Fett and Luke Skywalker. July 23rd - Mark Your Calendars! 7 inches tall ARC Trooper Captain maquette. Star Wars: Battlefront w/ Biker Scout. Est. avail: late Summer 2004. Vader's Tie returns this year as a TRU exclusive. "Wait, what's that? A transport! I'm saved!" Star Wars Jawa Sandcrawler to be released exclusively thru Diamond Comics. Wicket, Boba Fett and Darth Vader.